Brussels sprouts have an awful reputation - kids and adults alike often turn their noses up at the sight of the little green miniature cabbages. 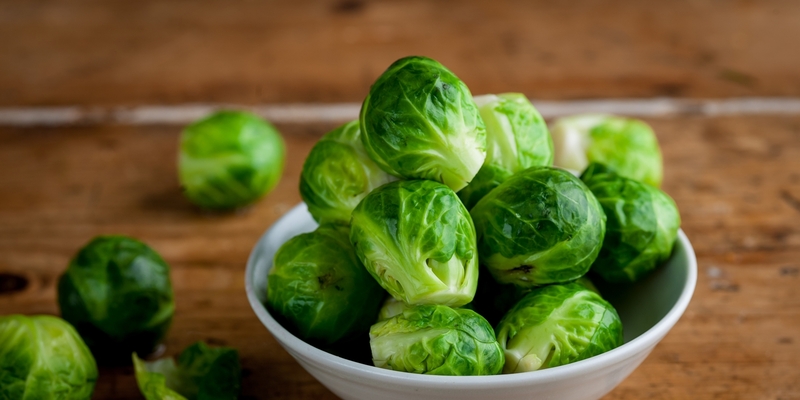 A popular part of the typical Christmas trimmings, Brussels sprouts are high in Vitamin K and Vitamin C making them extremely nutritious. When prepared well, Brussels sprouts make a brilliant accompaniment for many a meat or fish, including turkey, venison or veal - as shown in this collection of Brussels sprout recipes. If you're looking to incorporate them into a festive meal, then Dominic Chapman's Bronze turkey with all the trimmings is the perfect recipe for you to put to use during the Christmas period. If you'd rather not use turkey, then try Galton Blackiston's partridge with pears and Christmas stuffing. Paul Foster pairs gurnard with Brussels sprouts in an easy main dish that is ideal for an alternative wintry dinner.